Rubicon's new Long Arm Tri-Link Kit eliminates the rear track bar, allowing for true up/down wheel travel, while enhancing anti-squat for those steep climbs. 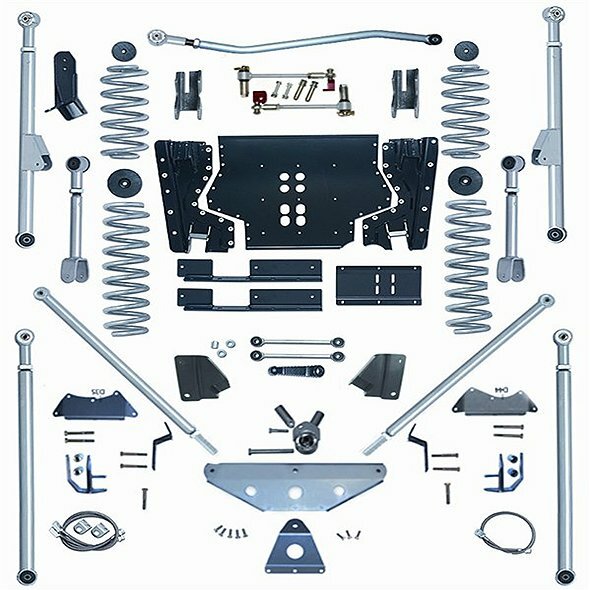 On-road tracking is improved, and the kit is bolt-on for factory Dana 35 and Dana 44 rear ends. 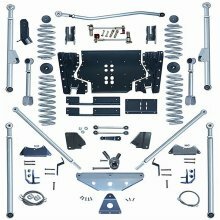 Kit includes front and rear control arms using 2" .250 wall, 4130 chromoly material. Also included with the kit is Rubicon's newest misalignment joint design, the Builder Ball. This setup eliminates the rear track bar and has up to 32 degrees of misalignment in a giant-sized 3" OD housing.